Alameda Street is one of the friendliest and prettiest streets in Maplewood, perhaps in all of Rochester. Neighbors congregate for events throughout the year, and tend the gardens that mark the east and west borders of the street. One of the sweetest houses on the street is 196 Alameda, with its clean traditional lines and large front porch with intricate white lattice. The blue and white exterior is accented with wine-toned shutters and teal details, and stained and leaded glass windows. The 1,701 square foot house was built in 1925, and retains to this day the stunning natural woodwork that characterizes homes of the period. 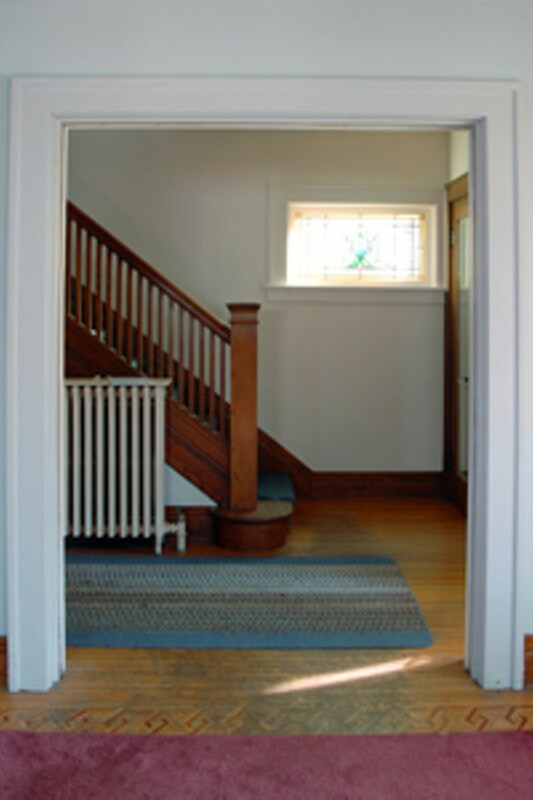 The front and foyer doors have unusual, lovely beveled glass inserts. The pocket doors to the living room actually work (!). The hardwood floors with inlaid borders throughout the first floor will be beautiful again when refinished. Remarkably intact are the staircase with its arts and crafts-style newel post and stair rail, and the dining room's beamed ceiling. The little details make a difference: The doorknobs are glass. The pastel floral motif stained-glass window at the foot of the stairs is an attention-grabber. More beveled or stained glass is found in the living room, dining room - and the attic. The original milk box survives, as does the swinging door from dining room to eat-in kitchen. Off the wide hallway on the second floor are four generous bedrooms with hardwood floors. One leads to the sleeping porch that spans the entire rear faÃ§ade. The second-floor thermopane windows are sympathetic to the original design. Built-in drawers, shelves and laundry chute are in the hall. The attic is unfinished, tight and huge. Windows on three sides make it bright and full of potential. The yard is 0.12 acres, or 40 x 133 feet. The deep backyard is surrounded by mature trees. The detached garage has the capacity for two cars, and needs work. 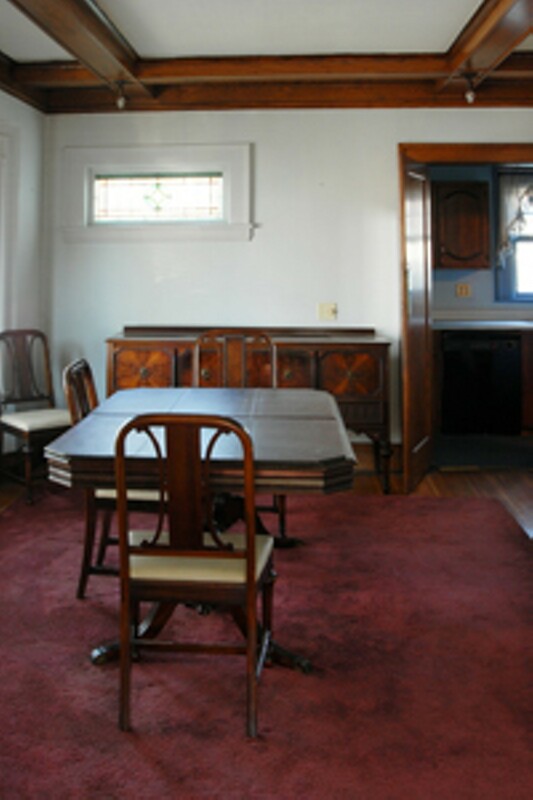 The home at 196 Alameda deserves the TLC that the next owner will provide. 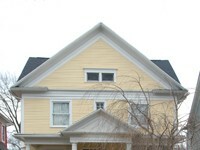 Generations of owners have kept the architectural details intact, leaving only cosmetic or style changes necessary today. The property is listed for sale at $69,900 through Sam Morreale of Nothnagle Realtors, (585) 339-3966. Taxes are $2,779. 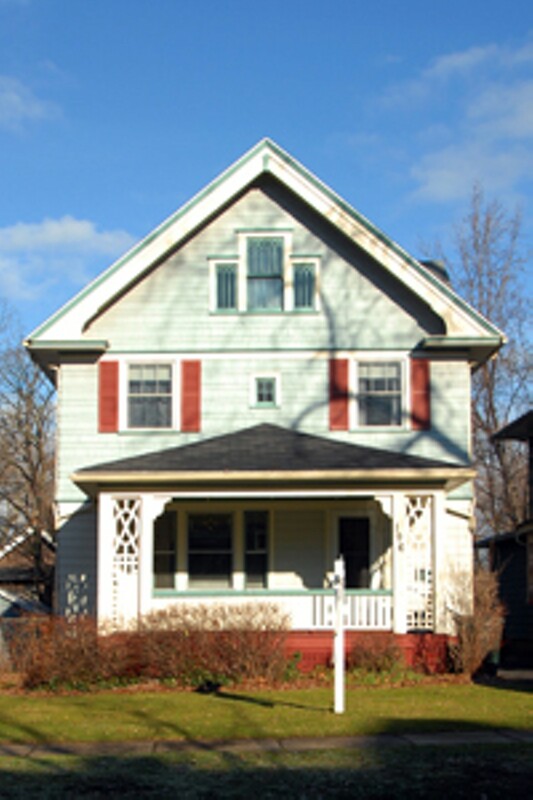 Historic Maplewood in northwest Rochester is a block west of the Genesee River. 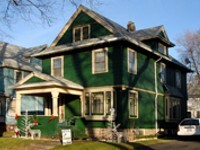 The Maplewood YMCA, Maplewood Branch Library, Maplewood Rose Garden and Lower Falls of the Genesee are within walking distance of 196 Alameda. Nearby are John Marshall, Nazareth Academy and Aquinas high schools. 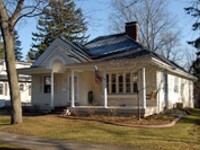 A large portion of Maplewood is listed in the State and National Registers of Historic Places, a testament to the quality and preservation of its homes. Elizabeth Teall is a Landmark Society volunteer and Maplewood resident.